According to the National Weather Service, it’s the least snowy beginning to winter that we’ve had since 1998. We’ve set also some record highs in the last few weeks. Snow can be hit or miss in December but usually the ground is frozen. It was frozen earlier in the month, but right now it’s not, and I spent a couple of hours yesterday weeding. Weeding in December. Such things have happened before. The foliage of coral bells, lungwort, and foxglove all look lovely and unblemished, but they are all a matte green. 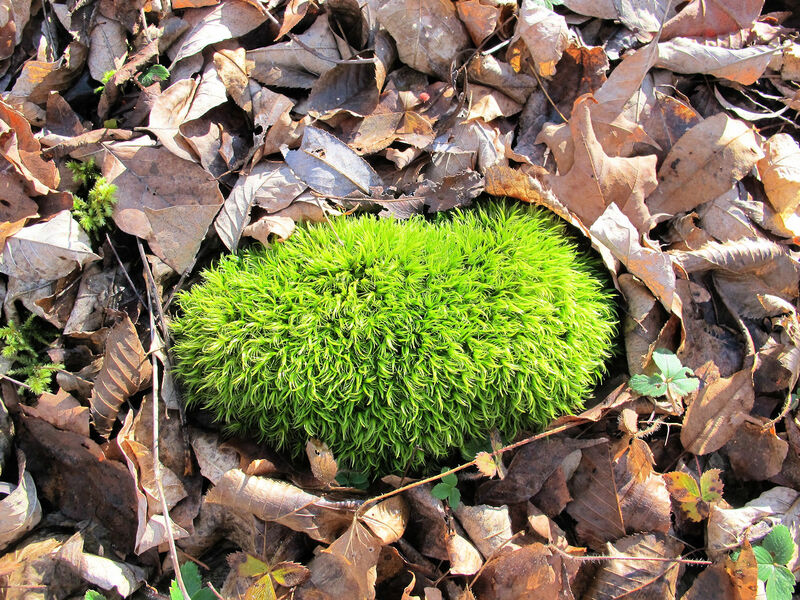 The moss, on the other hand–and there is a lot of it in the woods–positively glows. I feast my eyes on it as I trample around our land, making the paths a bit easier to traverse by clipping here and lopping there. There is still green in the landscape, you just have to look down to see most of it. 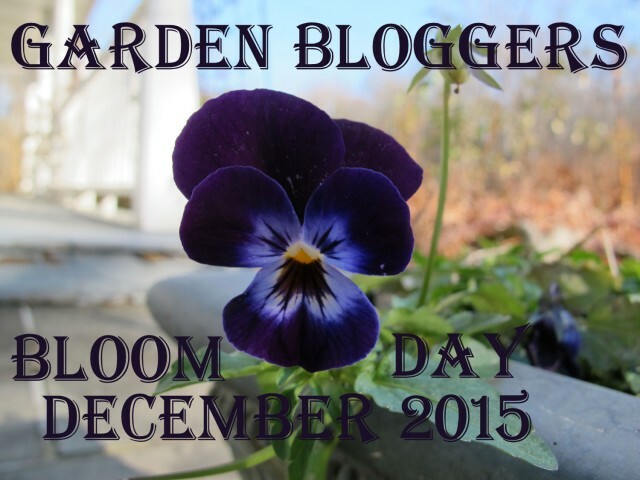 What’s usually blooming in December? 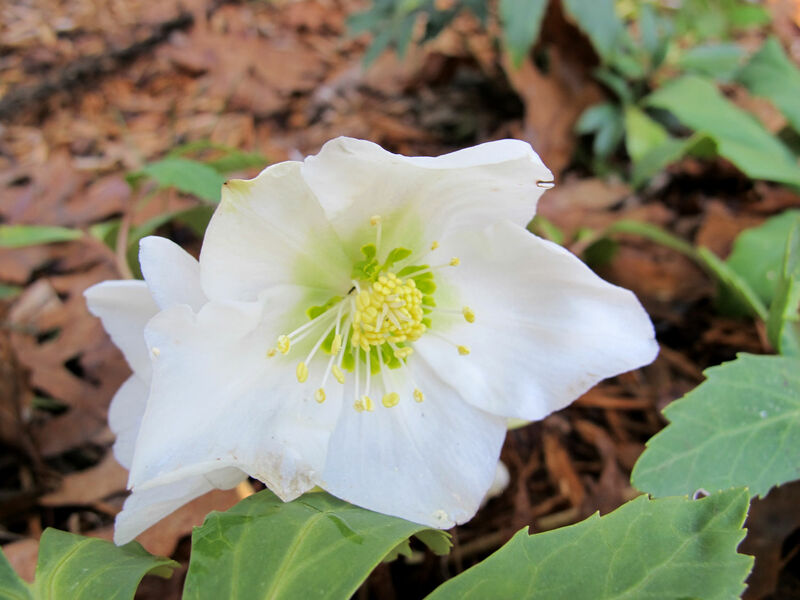 The “Christmas” rose, Helleborus niger, is usually blooming now if there is no snow, and so it is. 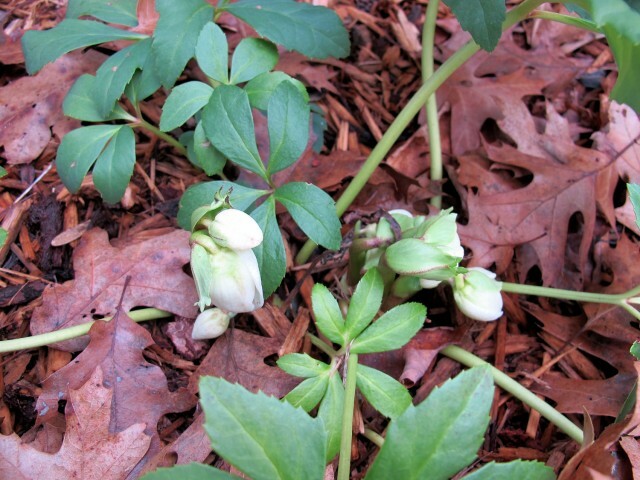 This is my earliest blooming hellebore, dubbed ‘Thanksgiving Bloom’ by Ellen Hornig of the defunct Seneca Hill Perennials nursery. ‘HGC Josef Lemper’ will be blooming soon. Really, with the exception of some stalwart violas and pansies, that’s all I ever expect to see blooming outside in December. Sometimes, if I’m lucky, Crocus speciosus is still sending up a few blossoms. 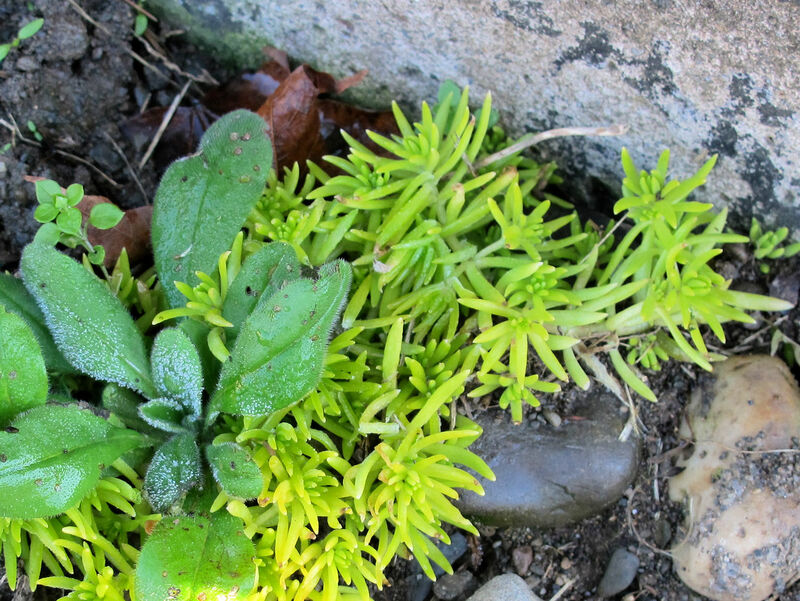 Sedum mexicanum Lemon Coral™ isn’t winter hardy. It should be dead by now. Proven Winners sent me three sample plants in the spring and I planted them in a container. I loved it so much I transplanted them into the ground earlier this fall just in case they might winter over. If nothing else, I’ve identified a warm microclimate, because all the others have died except this one. Grape hyacinths send up foliage in the fall, but regular hyacinths don’t, do they? This shouldn’t be happening. 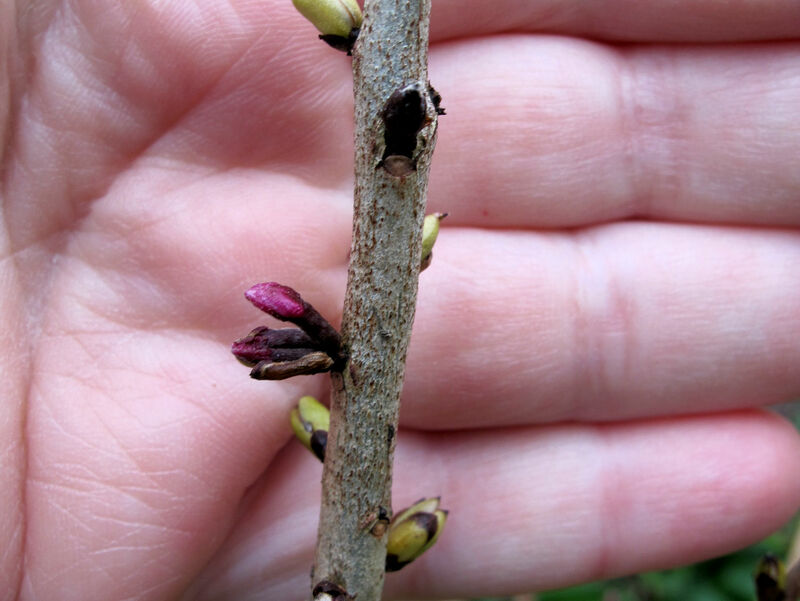 My February daphne, which usually blooms in April, is showing color in its buds in December. I think it’s confused. I should have known the snowdrops would be jumping the gun. They often stick their heads up to take a peek during any thaw, but they won’t bloom until it’s well and truly mud season. It’s been unseasonably warm over much of the U.S. and Canada, so I bet you’ve seen some strange sights in your garden as well. 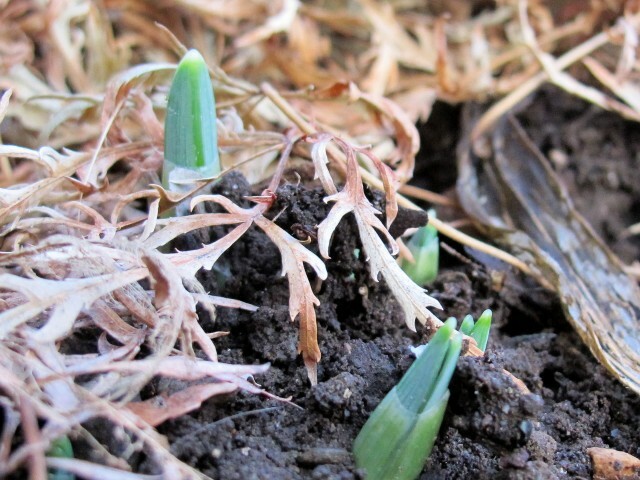 Larry Hodgson’s article, How Will This Mild Weather Affect Our Plants? will help you figure out if you should expect trouble next spring because of it. I never thought anything grew in the winter. I am one that snow comes my way every year. I have not been gardening for very long, and I am very excited to know that there is a bloom day. Thank you for the info , I take my living plants in September or October but this year I could have left them out longer. No snow in sight yet. It certainly depends on where you live whether you find anything growing in the winter. 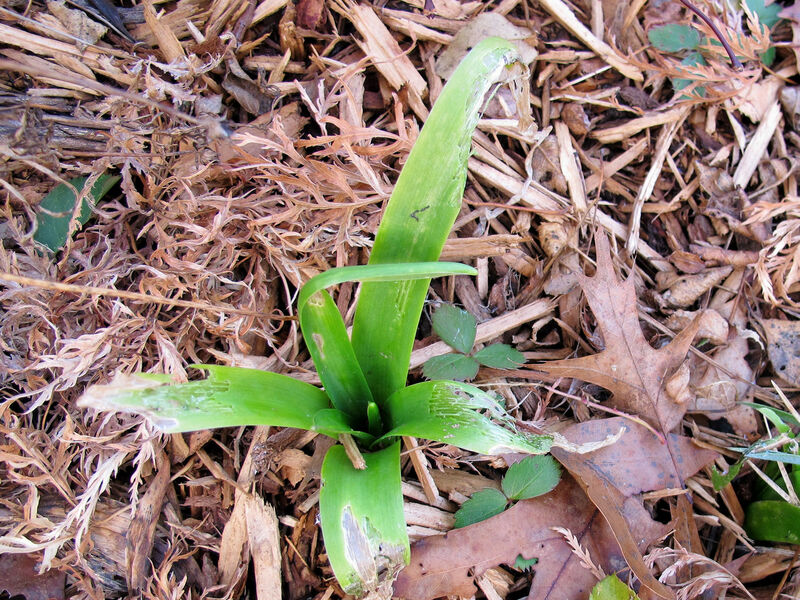 Plants growing in containers are more in danger of their roots freezing. A general rule of thumb is plants grown in containers should be two zones hardier than plants grown in the ground, if you intend to leave the container outdoors for the winter. The ability to walk in Minnesota (4B) with just a light coat in late December is amazing and a little disturbing at the same time! Should be gardening opportunities in spring due to the lack of snow cover. I have been thinking the same thing. But it hasn’t gotten so cold (yet) that the lack of snow would be a real problem. Love the Lemon Coral Sedum. We have not had an inch of snow yet and it looks like we will have to wait until 2016 for snow…with the warm winter forecast I wonder what surprises we will find…I have had several in my garden this past week. Look at that! I also have a few lingering plants which a strong freeze has yet to get… but I think last night might have done the trick. Warm weather is keeping my zinnias and castor plants going. Never had regular hyacinths green at this time, but maybe I should check. Your daphne buds sound troubled. I picked this year to try to grow a camilla (April Rose, one of the hardiest) in my Johnson City yard…it doesn’t sound good, alas, after reading the article you linked to. On the other hand…it’s been wonderful not having snow or ice to worry about. Yet. Well, we won’t know until spring, will we? This mild winter might just be what the shrub needs to get firmly established. I say you never know until you try. Good luck with April Rose!